Floratech provides innovative botanical ingredients to formulators of stable, functional and quality cosmetic and personal care products worldwide. Floratech has grown naturally from the ground up. We started with a small jojoba oil mill in the Sonoran Desert. Over the past 40 years we have grown into a modern botanical derivative research and manufacturing center. 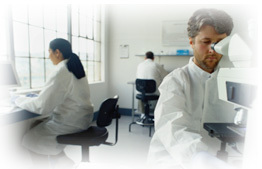 Our Chandler, Arizona headquarters houses a state-of-the-art manufacturing facility, quality and R&D laboratory, distribution warehouse, and Consumer Testing Laboratory (CTL) which conducts claim substantiation and evaluates the efficacy of Floratech ingredients and products. Floratech isn't going green - we were born green. As the world's first supplier of biodegradable, natural wax exfoliating beads, Floratech offers a variety of biodegradable options for microplastic free exfoliation products. Florabeads® and newly developed Ecobeads® are botanical scrubbing beads made of biodegradable, natural wax, and provide gentle yet effective exfoliation. Ecobeads and Florabeads are proven biodegradable by independent studies and are available in a wide array of standard colors. Specialty particles, Florasomes® & Floraspheres® are soft monosized spheres of jojoba esters which deliver jojoba emolliency and product decoration. Florasomes also deliver active ingredients such as vitamins, fragrances, pigments and enzymes (or your custom active) directly to the skin. These specialty particles have customizable features including color, size and playtime. 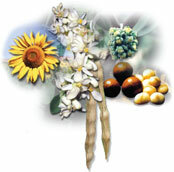 Floratech offers innovative oil-free jojoba esters, jojoba derivatives, macadamia oil and derivatives, stabilized high-oleic sunflower seed oil, and specialty particles for use in product categories which include: skin care, lip care, nail care, hair care and sun care, in addition to color cosmetics, fragrances, and body wash products. For more detailed information on FloraTech products, formulas and ordering information proceed to the PRODUCTSpage. FloraTech Informational Brochures as PDFs HERE. We invite you to call FloraTech's Corporate Office with any questions +1.480.545.7000. Formulators who wish to directly access the FloraTech ingredient data base by lot number, use our iLabel application directly below.